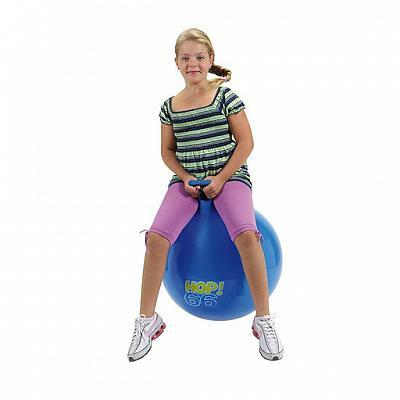 The Gymnic® Kid’s Hopping Ball has a sturdy handle and a lot of bounce. 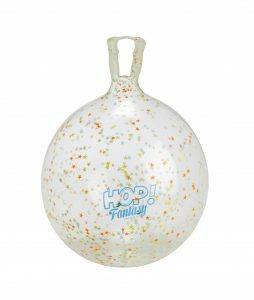 Kid’s Hopping Ball are both toys and exercise equipment for children! 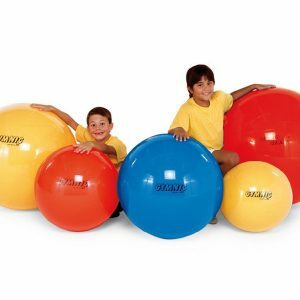 Using a hopping ball helps your child establish coordination and balance while improving your child’s muscular strength. 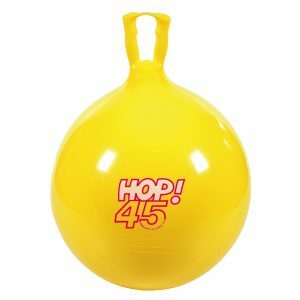 Promotes children’s body coordination, balance, lymph circulation and provides a fun workout while hopping on the ball. 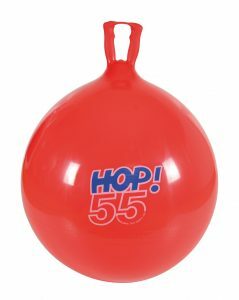 Made of super strong, yet soft vinyl latex-free material for long lasting use and durability. Special patented handgrip safety handle. 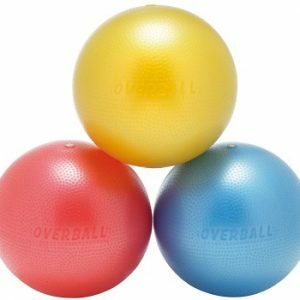 Great exercise product for indoors. 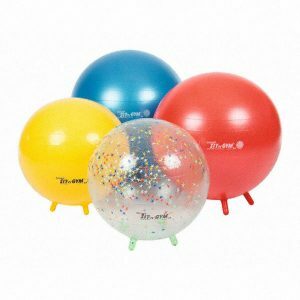 The Gymnic® hopping ball can provide hours of fun indoor activity. Not recommended for outside use. 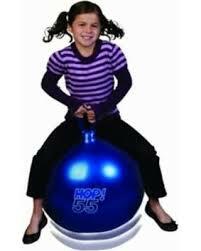 Pump sold separately.